03 of 20. This ornament illustrates the giant the imprint area in our pad printed option in sorround print ornament line. On 3-1/4 inch diameter ball we can print up to 2.5 inch diameter circle imprint and on our 2-5/8 inch glass bulbs we can print up to 2-1/4 diameter circle imprint ... and highlight your design in glitter as well! To cost this design check out our SPECIALS! MINIMUM QUANTITY IS 144 ORNAMENTS in this product line, regular price would be $5.25 for 2-5/8 printed ornament and $6.25 for our 3-1/4 ornament as this is a 2 color print. 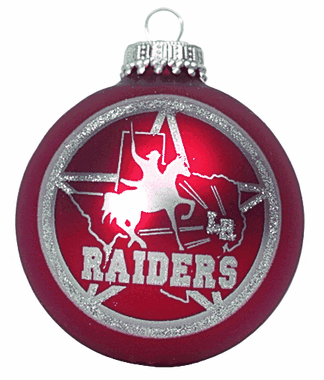 BE SURE to see our main page on this product as in 2006 we are running all kinds of Promotional Pricing Specials on this top of the line custom printed Glass Christmas ornament.